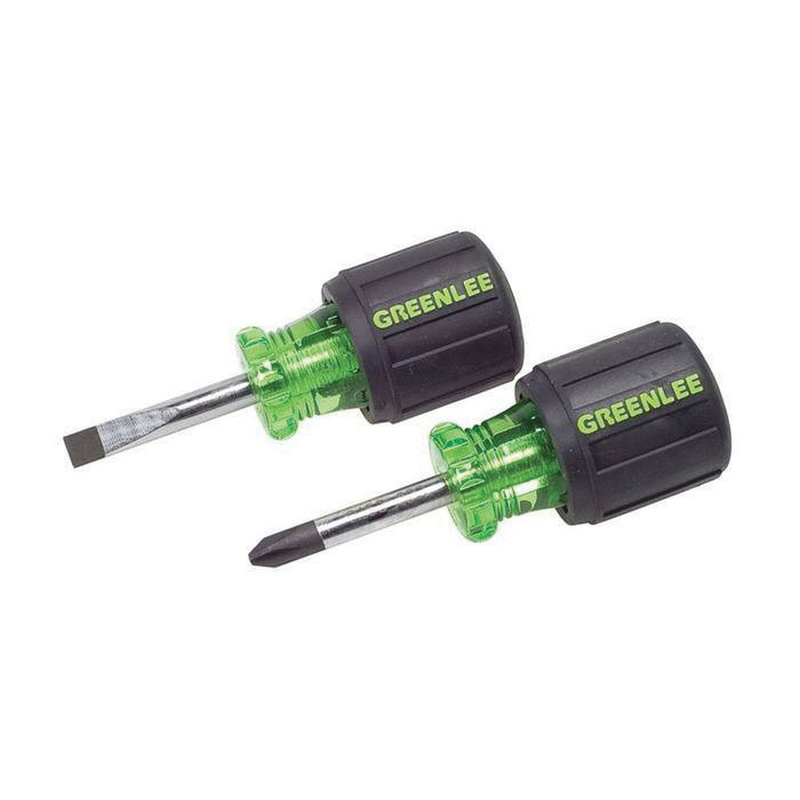 Greenlee Stubby screwdriver set includes 1/4-Inch x 1-1/2-Inch flat blade stubby screwdriver and #2 x 1-1/2-Inch Phillips stubby screwdriver. The screwdriver has precision-machined tips for exact fit. This screwdriver has handle marked for easy identification of screwdriver size, type and length. Screwdriver has strong and durable black phosphate tips to avoid chipping of plating. The screwdriver with round shank, provides soft and cushioned grip for additional comfort and torque. The screwdriver set exceeds ASME/ANSI standards.